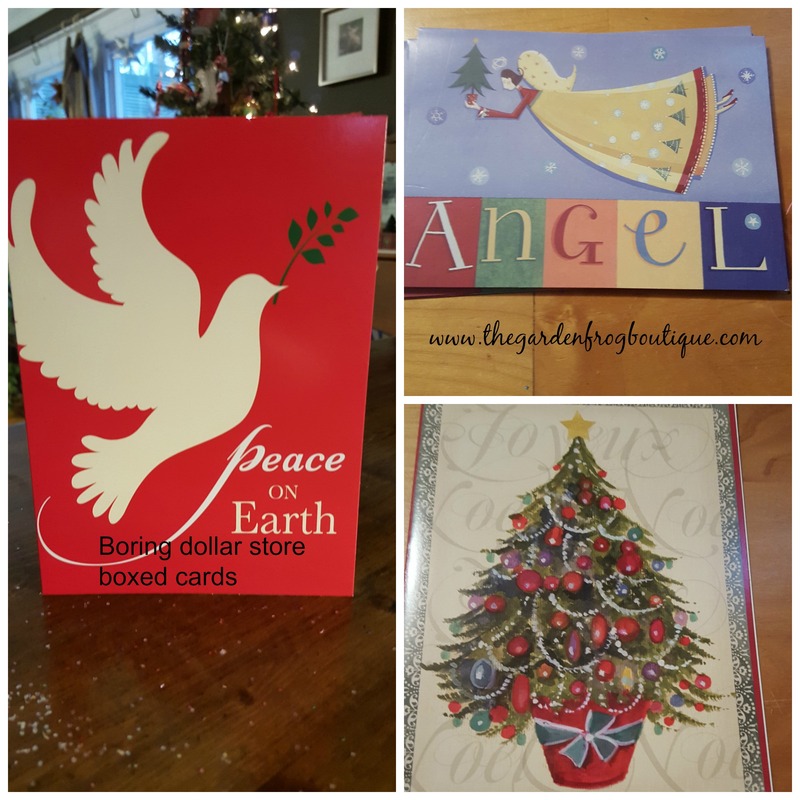 The Dollar Tree and Dollar stores are a great place to get cards; and $1 box of Christmas and holiday cards is an even bigger bargain. However, they lack a bit of glitz and glitter and even personality- don’t they? 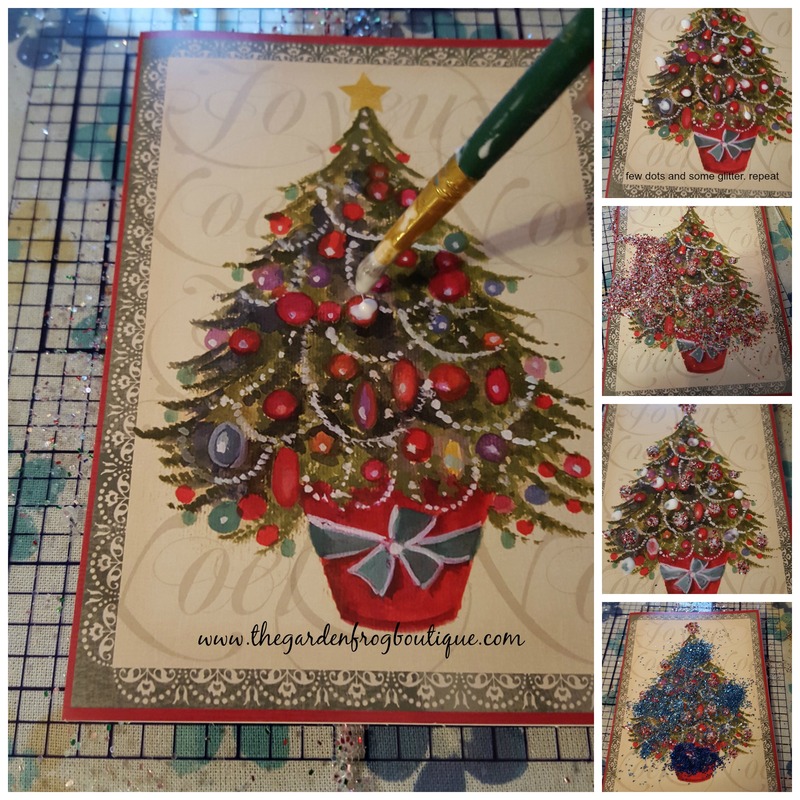 So get out the glue/ Mod Podge, glitter, and a small paint brush /Qtip and a cheap box of Christmas cards and set out to glam up those dull Christmas and Holiday cards. 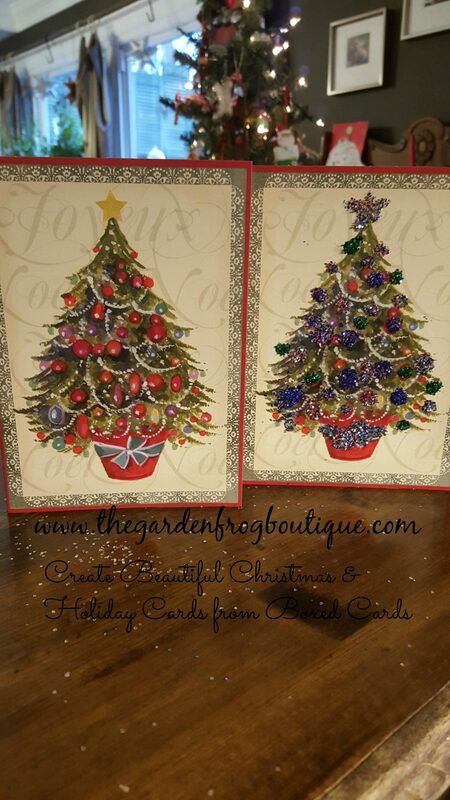 I even have metallic Sharpies and outlined a couple of the cards to see if that would add some glam. 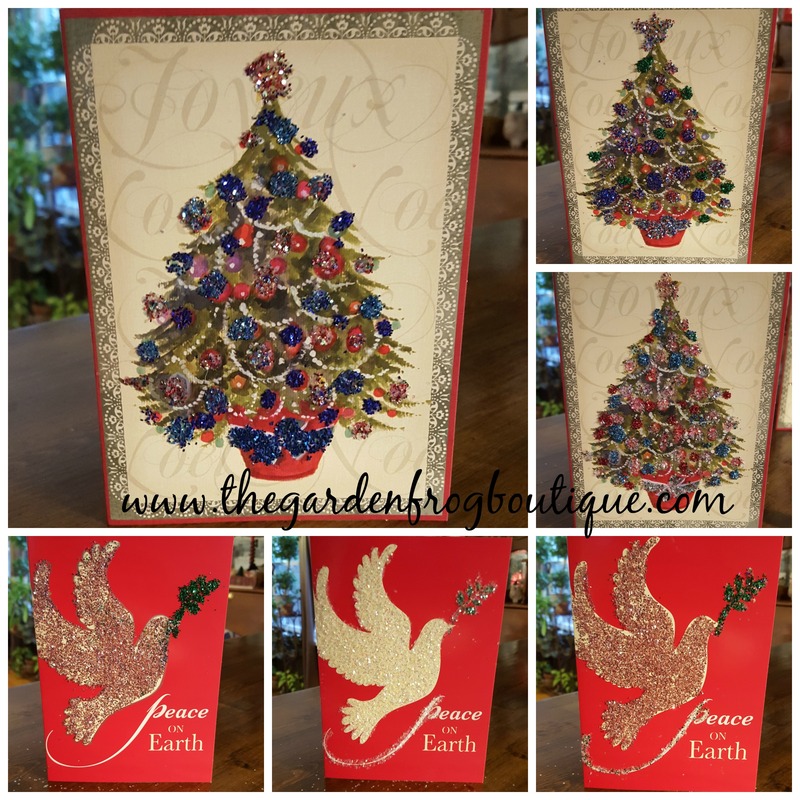 It was okay but I got to say when I added the glitter – those dull Christmas cards came to life! Well, have the vacuum handy and keep your creative cap on. 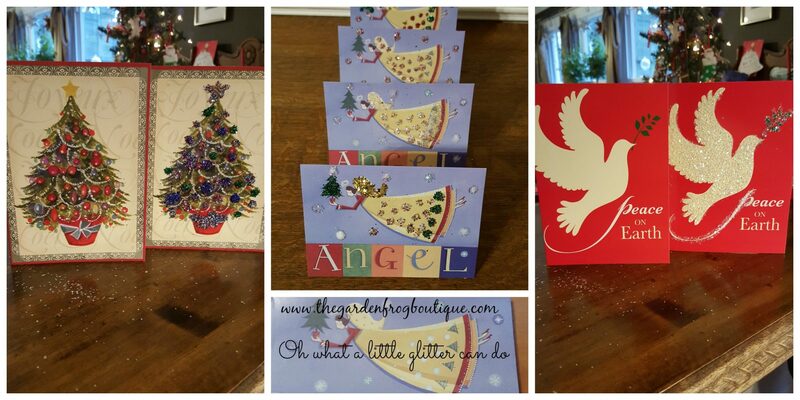 I advise having a sheet of paper under each card to catch the loose glitter and to make it easier to pick up. 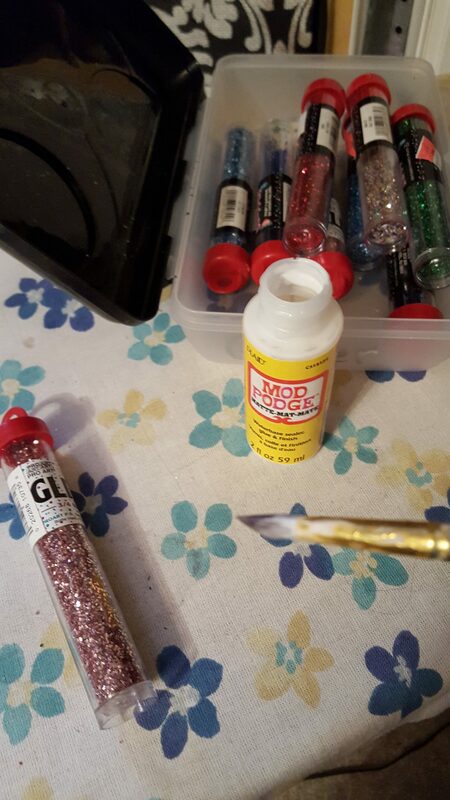 My kids are grown but I still have fun creating and using glitter. Have fun and make memories the kids will remember for years.